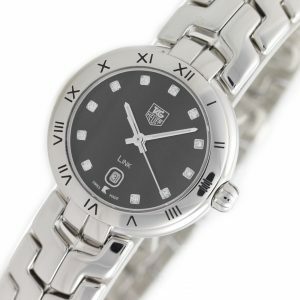 Stainless steel Tag Heuer Link WAT1411.BA0954 watch, water resistance to 100m, with date and diamond indexes. 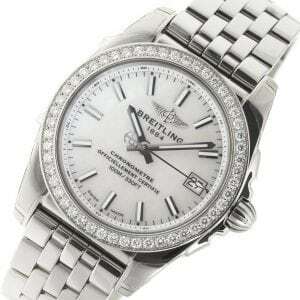 Breitling Galactic 36 SleekT A7433053/A779​ watch, water resistant to 100m, with diamond bezel, date, and bracelet. Titanium Ceramic Chanel J12 Chronomatic H2979 watch, water resistance to 200m, with date.